First off, let me apologise for the strange photo sizing. Turns out I can't seem to crop properly! But I hope the mis-match patchwork effect came off....! 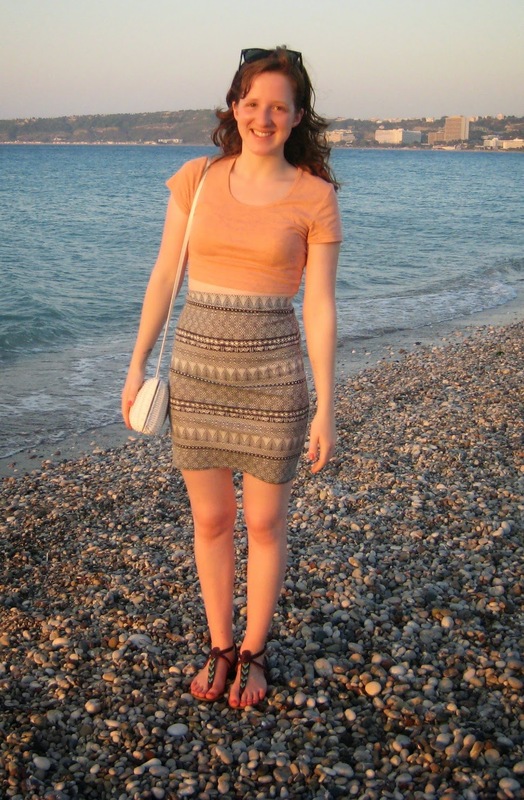 I chose to wear the first outfit on our first evening out along the beach to watch the sunset. The skirt isn't the most practical - in the sense that it continuously shifts up and it slightly too thick for the hot Greek evenings. But I do love a high-waisted skirt and cropped top combo. The aztec has long been a favourite over the past few years and I would be sad to see it go! I prefer monochrome aztec prints, just because they're much more versatile and easier to style. The second look was for when we went souvenir shopping, so didn't fancy wearing a full-on bikini and shorts outfit. Playsuits are one of my favourite things to wear, right behind dresses and ripped denim! They require the least amount of fuss, although there have been many a time when I've needed help getting out! Spots, again, are another favourite print and this cut suits my boy-ish shape just right. It flicks out from the waist and creates the illusion of curves - the perfect playsuit! I wore the third outfit during the afternoon and evening in Rhodes Town, which was still about 32 degrees plus! The top has got a slight silk sheen and leopard print too, which I just love. Items which have a slight texture or pattern to them are my favourites, as I prefer to wear plain clothes with a subtle texture rather than loud and bold prints. 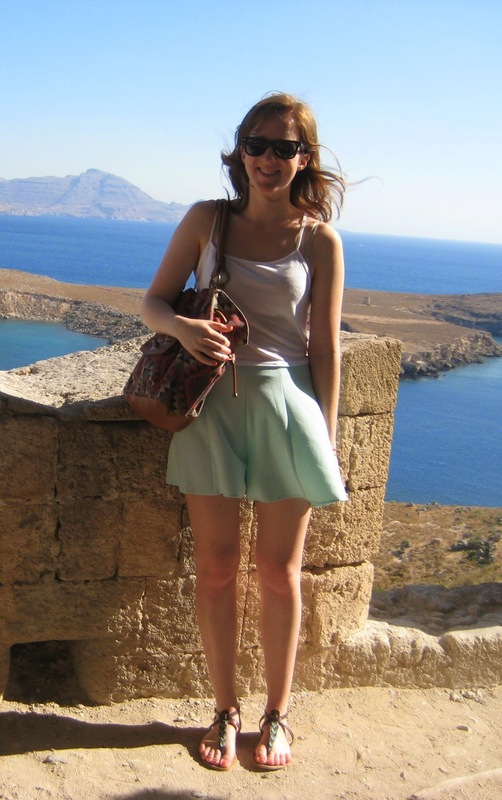 Add my trusty high waisted shorts, which I thank God I did as it was so windy along the harbour. I don't think I'll ever let go of these shorts - they're the perfect highwaisted height and are great quality so I know they'll last me for a long time! The final outfit is probably my favourite from the whole trip. Crop tops and pastels are such big trends at the moment and I adore both of these pieces. The Topshop crop is so soft and light that it's perfect for summer days (and actually suits my shorts really well!) I've harped on enough about these shorts in the post but I think it's a definite match made in heaven! So that's all my main holiday OOTD's! This post suddenly turned into quite a long one but sometimes it's nice to discuss and analyse your own outfits, plus my current OOTD's aren't exactly blog-worthy. Unless you call a Breton top and jeans creative! Hope you liked this post and thanks for reading!